Your Body can’t live without Glutathione…The World’s Most Powerful Antioxidant! Have you been feeling more tired, run down, coming down with colds or the flu, have a lack of energy, increased aches and pains that weren’t there a couple of years ago, or you’re unable to recuperate as quickly from exercise and physical activity as you once were? You can now have a naturally occurring substance that acts as a powerful antioxidant, and immune system booster, and a detoxifier! A substance that can help your body repair damage caused by stress, pollution, radiation, infection, drugs, poor diet, aging, injury, trauma and burns! It’s called Glutathione. What is Glutathione? Also called GSH, Glutathione is the most powerful, prevalent antioxidant in your body. The most well known antioxidants are vitamins C and E. Glutathione is a tripeptide molecule composed of the amino acids glutamic acid, cysteine and glycine, which exists in almost every cell of your body. Our glutathione level actually indicates our state of health and can predict longevity. Scientific evidence has found that glutathione is needed by our body to enhance the immune system response. There are more than 60,000 published papers on the beneficial effects of glutathione replacement, unfortunately, it is still largely ignored by mainstream medicine. Normal glutathione levels are important for good health because they neutralize free radicals, which can build up in cells and cause damage. The Bad News… Your body’s cellular supply of glutathione begins to decline 10% to 15% per decadebeginning with the age of 20. If you are over age 20, you have a glutathione shortage! Lower levels of glutathione can result in chronic illnesssuch as… lower energy or fatigue, a weakened immune system, cellular damage, accelerated aging, and higher cellular inflammation, which results in increased muscle and joint aches and pains. 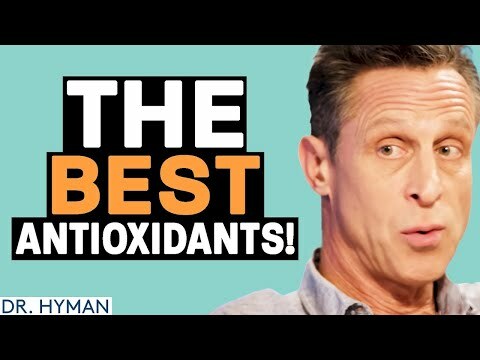 Free radicals constantly are attacking our cells, which is why antioxidants are so vital to protecting our health. Glutathione has been called the World’s Most Powerful Antioxidant, and is found in every cell in the body, but, most people need some help. Uncontrolled inflammation is a root cause of most major health issues ranging from heart conditions to joint and muscular conditions. Abundant glutathione levels will off-set the effects of this inflammation at the cellular level. Because glutathione is in every cell, it can regulate inflammation throughout the body. Adding antioxidants to your diet is a tremendous help, but it is Glutathione… the world’s most powerful natural antioxidant – that is Most Important for Protecting Healthy Cells. Glutathione cannot be taken orally to create any great increase in blood levels. We administer glutathione in the office through a nebulizer. To discover how glutathione and brain-based therapy can benefit you, call our office at 610-518-3370.